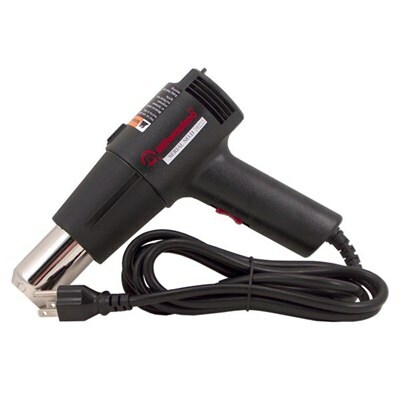 This heat gun is intended for use with the USDM Shrink Wrap Kit for wrapping CD and DVD cases. Can also be used in any standard 110 volt outlet. This heat gun is the same one that comes with the USDM Shrink Wrap Kit, which makes it a perfect replacement unit. Can also be used with other heat shrink material. Gun features a High/Low setting and Off setting.